You have the page for the latest Buffalo Wild Wings menu prices! Buffalo Wild Wings Grill & Bar is a casual dining restaurant chain famous for their Buffalo-style chicken wings, beer, and numerous large TV screens. Patrons can have the traditional wings or boneless wings smothered in one of their 21 signature sauces or dry seasoning blends, but it’s not just about wings anymore. Now you can order burgers, sandwiches, salads, and appetizers. What’s better than an ice cold beer on tap or bottle to wash down those spicy wings? Not a beer fan. Each Buffalo Wild Wings has a full bar offering signature drinks and cocktails. Want to watch a sporting event on TV? Head over to Buffalo Wild Wings where you can catch all the big game action, on over 30 flat screen TVs, while munching on wings and chugging a cold one. Below is the latest Buffalo Wild Wings menu with prices. Authentically awesome, award-winning Buffalo. New York-style wings. This is an email newsletter you want to sign up for. As a member of the Buffalo Circle, you get email updates on new promotions, advance notice of special events, and the latest food additions to the menu. Now that is VIP treatment for our guests, the true MVPs. Make your visits to Buffalo Wild Wings count. Join the Blazin’ Rewards program and every meal, beer, or purchase will earn you points. Not just any points. Points towards delicious food items like a slice of cake a bowl of wings or a bottle of your favorite wing sauce. Sign up is quick and free. The Buffalo Wild Wings great tasting sauces & seasonings are almost a closely guarded secret. B-Dubs will donate $0.50 of every bottle sold to The Boys & Girls Clubs of America. Looking for cool stuff with the B-Dubs logo on it? Check out the merchandise page and you can buy hoodies, tees, and caps. You can also get your hands on drinkware and fun stuff. Be a team player and go out and purchase BWW gift cards for your teammates. You can get traditional plastic gift cards that you can hand out after the game or you can be an all-star and send them all an e-gift card directly to their email inbox. Make sure you make the right choice so you don’t get left off the team next year. Buffalo Wild Wings is a proud supporter of local community groups and organizations that work to make a positive impact in the community. Team sports is the reason behind the success of Buffalo Wild Wings. BWW works with local organizations that encourage kids to play sports. 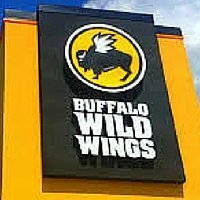 Visit the Buffalo Wild Wings official website to see how they work with and support groups such as Boys & Girls Clubs of America. Are you a FAN-atic for your favorite sports team? Buffalo Wild Wings is always looking for high-energy self-starters that enjoy working under pressure, surrounded by screaming, hungry fans. Visit the Jobs & Careers page on the official website to learn about current local & corporate openings and opportunities. Buffalo Wild Wings was established in 1982, near the campus of The Ohio State University in Columbus, OH. James Disbrow and Scott Lowery had a craving for Buffalo-style chicken wings. Deeming it too expensive to buy airline tickets to fly to Buffalo, the duo opened a wing joint. Today, there are over 1100 Buffalo Wild Wing locations spread across the US, Canada, Mexico and other parts of the world. Today, Buffalo Wild Wings is a public company with headquarters in Minneapolis, MN. Buffalo Wild Wings is active on social media so be sure to follow and connect with them through the various social media platforms. For more information about Buffalo Wild Wings, visit their official website. Are the wings at Buffalo Wild Wings gluten-free? The traditional style wings do not contain the gluten allergen. The boneless wings do contain gluten. Traditional and boneless wings are fried in beef shortening. What time does Buffalo Wild Wings open? The Buffalo Wild Wings hours are typically from 11:00 am to 12:00 am, Monday – Thursday. Friday and Saturday closing is at 1:00 am. Guests should confirm hours with their favorite location. The best wings on this side of the equator! My boyfriend and I tried eating there last weekend, he loved it and so did I!!! Would be nice if Buffalo Wild Wings or this website actually said on the menu what constitutes a “snack” “small” “medium” or “large”? I mean how many wings are in those sizes?? For Traditional Wings= 5 snack 10 small 15 medium 20 large. It says this right there on the menu…. I can’t wait to eat it ! NANANANANANANNANANANANANANANANANA BATMAN NANANANANANANANANANANNANANANA BATMAN NANANNANANANANANANANANAN BATMAN!!!!!!!!!!!!!!!!!!!!!!!!!!!! I can’t wait for all that meat in my mouth! Where are the beer prices, drafts, the price of Leinenkugels Summer Shandy???? Can’t wait till we come back to try the rest of the menu! Excellent food & price! When do we in MA get a wild wings? Loved the one on Hilton Head! Would sure love on in my state!